Arunachal Pradesh Chief Minister Pema Khandu on February 9 claimed that foreign investments are eluding the sensitive border state owing to objections raised by a neighbour, a reference to China, and urged the central government to address the issue. “Arunachal Pradesh has a lot of potential but due to objection of the neighbouring country, foreign investment is not coming,” Khandu said at the event at Indira Gandhi Park here. Although Khandu did not take China’s name, the reference was obvious as Arunachal Pradesh shares a 1,080-km long border with China which has refused to recognise India’s claim on the region. New Delhi has consistently maintained that the state is an “integral and inalienable part” of India. 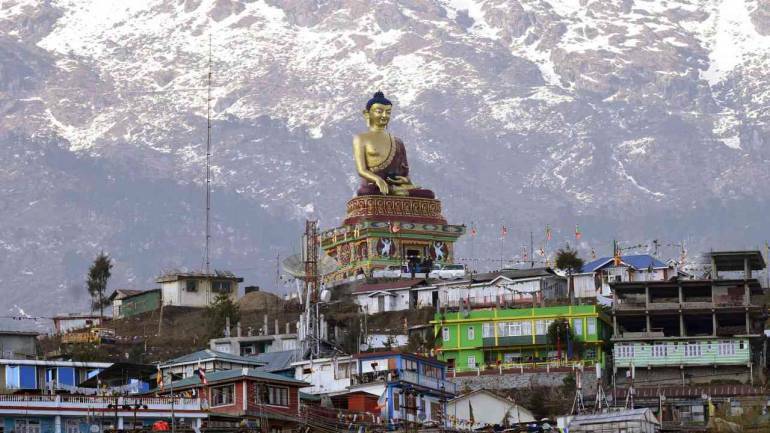 On Saturday too, China opposed the prime minister’s visit to Arunachal Pradesh but India dismissed it saying its leaders visit the state like they travel to any other part of the country. “I hope in coming days under your (Modi’s) intervention, the issue will be resolved so that we can convert our potential into capital,” Khandu added. Khandu, however, said that Arunachal Pradesh was getting more attention from the Centre ever since the National Democratic Alliance (NDA) government came to power in 2014. “The seriousness for the region has gained momentum which is evident from the fact that every month at least three ministers visit the states of the region,” Khandu said.